Great staff, very helpful and pleasant. Older hotel but well kept and comfortable. The pool and spa are very nice. The room was clean and quiet. WiFi only worked in the lobby. It was convenient to park and shuttle to the strip and airport. Staff was courteous and helpful. The staff at Mardi Gras are first class! Although smaller than the behemoths on the strip there is almost everything at this place you need. 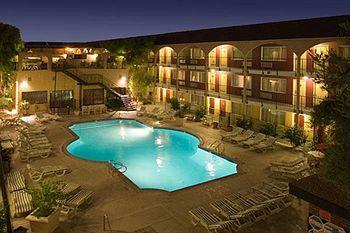 Rooms are large and clean, and easy walking distance from the action in the lounge and casino. Once again, the best part is the people who make your stay a pleasure. The only problem I had was with ParkSleepHotels cancelling my reservation without notifying me. The front desk person (Tyler I think) made the necessary calls and got us straightened out so everything ended up fixed.